As a GIS lover, I’m a geek for data. 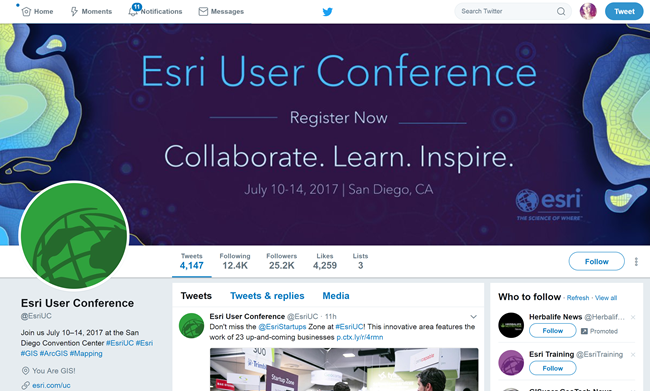 Here’s the 2017 Esri User Conference by the numbers: 5 days, 300+ exhibitors, 450+ hours of hands-on training, 1000+ sessions, 17,000+ attendees, and several thousand opportunities interact with each other and grow our GIS community. With the huge number of experiences you can have at UC, you’ll want to make the most of every day. If you’re interested in spending some time at UC getting to know ArcGIS Pro a little better, here are some tips for you. Two apps you’ll find especially handy: Twitter and the Esri Events app. On Twitter, follow @ArcGISPro, @EsriUC, and keep up to date with #EsriUC. You’ll see what events are trending and get the latest news on the feed. 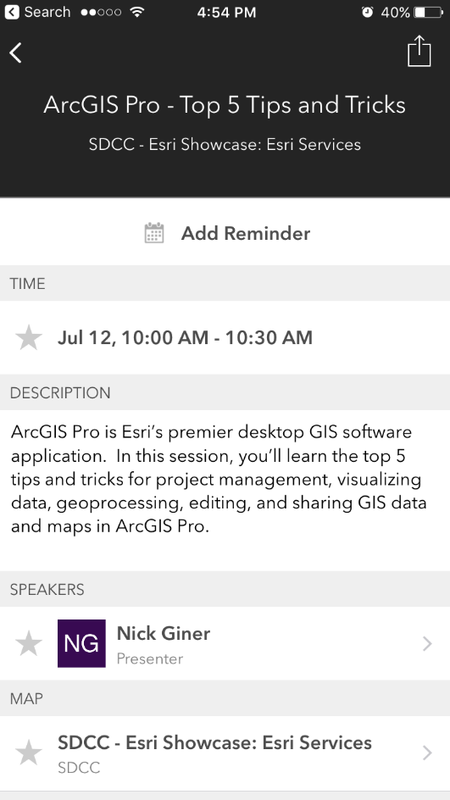 Download the Esri Events app and use it to schedule all of your ArcGIS Pro sessions, workshops, and meetings. Click on the Esri User Conference tile, and search for ArcGIS Pro to find sessions and workshops. You can even add reminders to your schedule so you don’t miss any of your favorite events. 1. Click Add Reminder. 2. Set the slider to green. 3. A gold star will appear by the sessions that are added to your calendar. One of your best resources for inspiration and learning are your colleagues. 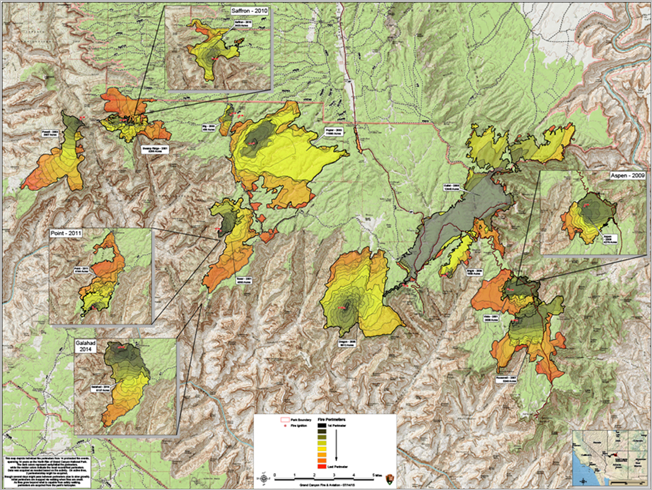 ArcGIS Pro users are doing some pretty amazing things and you can see that work shine at UC. Lots of incredible maps made with ArcGIS Pro will be on display in the Map Gallery. The Opening and Evening reception on Monday, July 10 between 3:30 and 7:00 p.m. is the perfect time to check out some beautiful maps and ask questions of the mapmakers themselves. All map entries are eligible for the People’s Choice Award, so vote for your favorite! You’ll also see plenty of ArcGIS Pro work on display during the UC Plenary on Monday from 8:30 a.m. to 3:30 p.m.. See how your peers are putting GIS to work in everything from county governments, to aquaculture farming, to medical emergency air rescue missions. 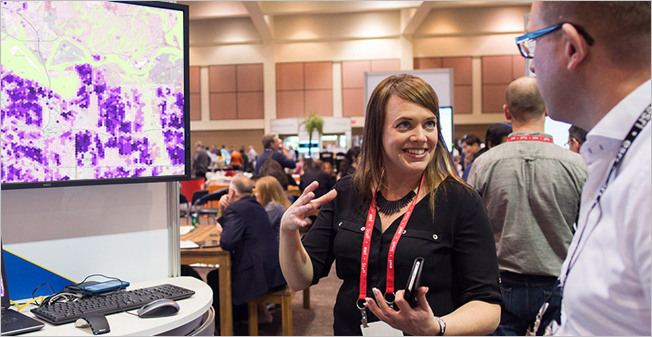 Esri partners are also doing great work with ArcGIS Pro, and you can test-drive their innovative tools at their booths in the Esri Showcase. 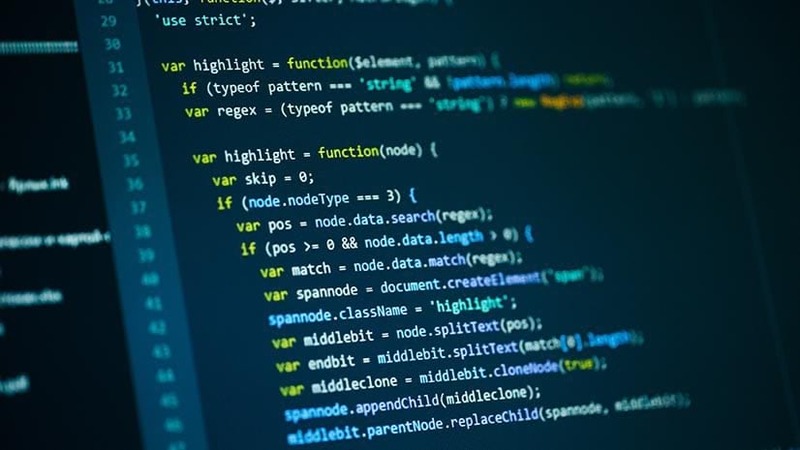 ArcGIS Pro will be on display at NVidia, Citrix, and VMWare booths, with Pro add-ins highlighted at the Data East booth, with the XTools AGP product and the EagleView booth, with their Pictometry for ArcGIS Pro product. 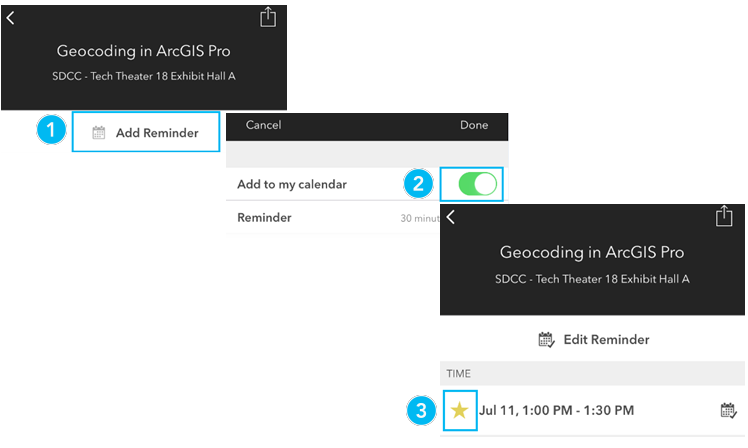 Esri Technical Support will also be available in the Showcase at the times listed above, ready to field your most difficult technical questions about ArcGIS Pro. Come listen to a discussion with some of our team’s leaders at the ArcGIS Pro Panel Discussion, on Thursday July 13 from 1:30 to 2:45. Stefan Balbo, Rob Elkins, Ty Fitzpatrick, Drew Flater, Michael Grossman, Jim McKinney, Phil Sanchez, and Jeremy Wright will be there to discuss ArcGIS Pro capabilities and what’s planned for the future. The team will also be addressing common migration questions received via social media and Esri Support. There’s also an ArcGIS Pro Top 5 Tips and Tricks led by Nick Giner. If you’re going to be in San Diego on Sunday, and you’re interested in cartography, I highly recommend this Preconference Seminar: Making Great Maps with ArcGIS Pro with award-winning mapmakers Ken Fields, Edie Punt, John Nelson, and Wes Jones. Go beyond the basics of cartography and get tips to quickly turn your basic maps into stunning storytelling works. The best way to have a great user conference experience is to find your niche. Look for sessions that are directly applicable to you and your interests – there’s probably an ArcGIS Pro session or workshop on that topic! If something catches your eye, give it a gold star and add a reminder your schedule. For a more complete list of sessions, you can check out the ArcGIS Pro at the 2017 User Conference blog, or download this printable guide of all ArcGIS Pro sessions. User conference is a great time to explore ArcGIS Pro, meet people who share your love for GIS, and soak up a ton of knowledge. I look forward to seeing you there!